The special court completed hearing bail applications of all 11 accused in the case. NEW DELHI: A special CBI court today completed hearing on bail applications of all 11 accused in Vijay Mallya loan default case. The court will announce its order in the case on February 10. All the accused are employees of IDBI and KFA. This is a case where IDBI bank employees allegedly sanctioned about Rs. 900 crore loan to KFA while it was having a low credit rating. The Central Bureau of Investigation (CBI) has alleged in its chargesheet that this loan was sanctioned by IDBI official by doing a criminal conspiracy by them in connivance with the KFA employees. The basic arguments were put up by defence lawyers who were replying CBI counsel 's arguments yesterday who opposed bail to all the accused. 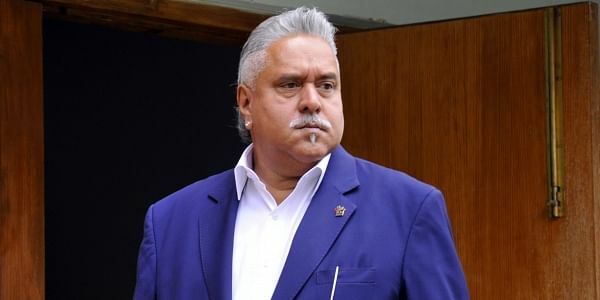 He said nowhere in the chargesheet they say that even a single penny from Mallya or anyone else come to the accused, adding that there is no possibility of this trial getting over in near future. ‘If arrest is really necessary, there should be real reason for keeping them behind bars. But nowhere in his two and half hour argument CBI counsel has pointed out the reason why they should be kept behind bars. This was an unjustified arrest and this can't be allowed to continue in the name of remand when nothing is needed from us as far as investigation is complete. And chargesheet is before this honourable court,” he added. Advocate Rajiv Chavan said the IDBI officers cooperated throughout the investigation, adding that they didn't hinder any part of the investigation. “The loan amount was diverted, word is used siphoned, but it was not used for personal use , it was used for aircraft rental and Salaries etc. The CBI claims that There was a criminal conspiracy on the night of November 23, 2009. This allegation is completely ridiculous,’ he added. He further stated that the CBI has not bothered to investigate this fact that whatever proposal is submitted by the credit officer, the credit committee has rights to do variations to it. “They can increase, decrease and keep the rating similar.It generally variates. The Credit Committee and rating committee are two different bodies and it is not the case of CBI that credit committee pressurised rating committee to give those ratings to KFA. 38 corporate with BB rating and 24 corporate with B+ rating have got loans so it's not the CBIs case that corporate low credit ratings,” he added. Chavan said all the judgements which they have relied upon about tampering of evidence are of the cases of influential and powerful people. “Here, there is no possibility of tampering of witnesses because all are already retired,” he said. Bharat Badami, CBI counsel chipped in and argued a point. He said that it is not necessary that prosecution must say that the accused have taken bribe/ money.